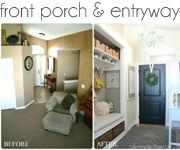 I just wanted to pop in, to tell you about a couple of awesome things that are going on over at Homes.com this month. 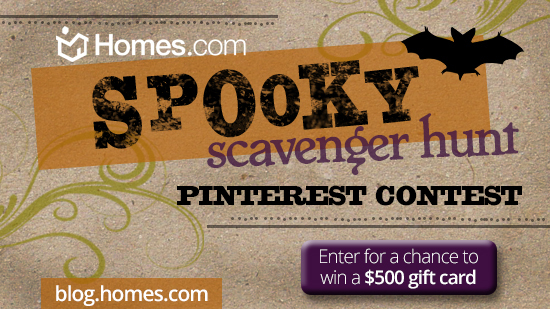 A Spooky Scavenger Hunt Pinterest Contest, and a Spooky Photo Contest. Both of these contest have flippin' awesome prizes, so I didn't want you to miss out. Here's a little bit more about both! 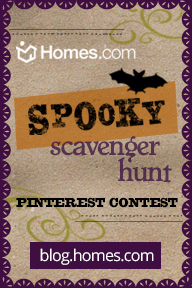 Step 1: Create a board titled ‘Homes.com Spooky Scavenger Hunt’ on Pinterest. 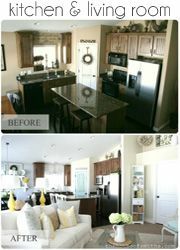 If you’re not already, be sure to follow Homes.com on Pinterest. If you need an invite, email contest@homes.com. 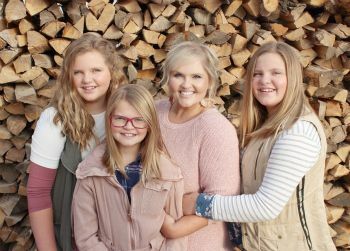 Inspired by Charm – Hocus Pocus Broom Co. 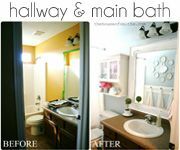 Step 4: Provide a link to your board on Pinterest in the comment section, over at this post from Homes.com, for a chance to win the $500 gift card. Remember, don't leave your comment here, or it won't count, because the Homes.com team won't be able to see it. 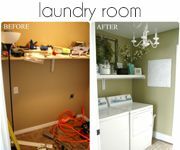 So head on over to their blog, and leave it there to be entered for a chance to win! The next contest is super simple, and something that anyone with a fun Halloween decorated porch, mantle, tablescape or even shelf can do! It's a contest that Homes.com is running on their Facebook page. You just have to simply enter a photo (or even up to three) of your Halloween themed spaces, and then you're entered in a chance to win an "Ex-Scream" Halloween party, valued at over $1,500! See, I told you these contests were too fun to pass up. So bust-a-move, and get goin' on your scavenger hunt board and showin' off your spooky/pretty/awesome Halloween decor, to be entered for one of these fabulous prizes!